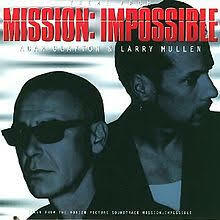 If you liked ANY of the other Mission Impossible movies, or were a fan of the old TV show, you will love this one. YOU SHOULD LISTEN TO THE MUSIC ON: THIS YOUTUBE WHILE YOU READ THIS BLOG!!! Middle teens and up for the suspense and violence. No naughty behavior. While the language is mostly mild for an adult movie, they just HAD to put in ONE profound profanity which sticks out like a sore thumb. 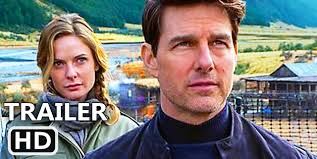 I wonder how many of the audience members in the latest Mission Impossible: Fallout movie know that the entire Cruise franchise was built on the shoulders of a show which debuted in 1966 – precisely 30 years prior to the first Tom Cruise MI vehicle and 52 years before today’s release? The TV sculpted the inception of this story concept, which features a group of spies, each with unique skills, who infiltrate, uncover, and disassemble the maniacal schemes of megalomaniacs, terrorist countries, and other super villains using disguises, staged events, clever dialogue, magic tricks, seduction, faked deaths, and intricately devious plot devices. Often irony is involved wherein the bad guys are caught in the webs of their own spiderian constructs. The founding company included Peter Graves (most notable to the current generation as the ill fated pilot with poor judgement in food choices featured in Airplane), Martin Landau (Bela Legosi in Ed Wood) with his real life wife Barbara Bain, Peter Lupus as Willie whose singular talent was to be real real strong, Greg Morris who had a long career in TV appearances, and Steven Hill – a staple character actor in everything from Yentl to The Firm. Hill started out as the leader of the pack but turned the baton over to Graves when filming interfered incompatibly with his devout Orthodox Jewish practices of not working on the Jewish Sabboth, a decision for which I will always admire him. 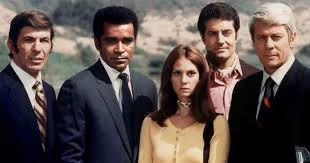 There were also a string of TV and supporting film actors who studded the MI set for its seven year run, like: Lesley Ann Warren, William Windom, Robert Conrad and Sam Elliott. But, saving the best for last was the regular appearance of our own Leonard Nimoy – the one, the first, the original Spock. Interestingly, Mark Leonard who played his father Sarek, and William Shatner, Captain Kirk, of course, were also veterans of the Star Trek universe and made guest appearances on the TV show Mission Impossible. 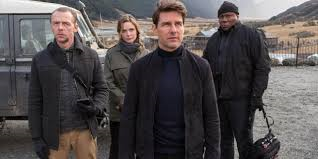 So MI has a long and illustrious history of establishing the world in which Tom Cruise’s Mission Impossible gang exists. And the MI movies are no piker when it comes to history either. It has been 22 years between today’s Mission Impossible: Fallout and the first Mission Impossible movie, the latter which debuted with an opening scene sporting Tom Cruise in prosthetics so campy it could have been mistaken for a Saturday Night Live skit – or the original TV show. 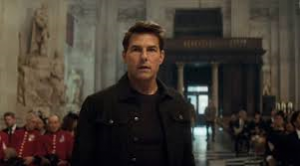 The opening of the 1996 Tom Cruise hit, complete with fuse burn and the iconic rhythmic theme song, was the same year as Jerry MacGuire and only 2 years after the embarrassing Interview with a Vampire. 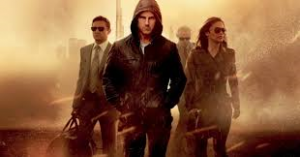 Poetically, 22 years (the same period of time betweem the first MI movie and Fallout) before the first Mission Impossible movie opened, we saw the end of the seven-year run of the Mission Impossible television show. 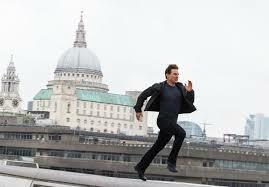 There have been six MI movies and I have seen all but Mission Impossible III. No particular reason, except that I haven’t gotten around to it. They are all both very similar and completely distinct from each other at the same time. All six relate to each other but stand alone, like siblings in a close knit family. 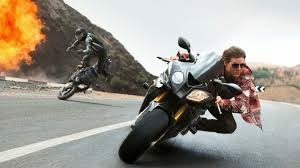 So I can, with some personal assurance, say, that if you liked any of the Mission Impossible movies you will like this one, and if you have not seen them all you won’t feel like you missed anything. I HAVE made it my business to see all of the Mission Impossible movie intros. 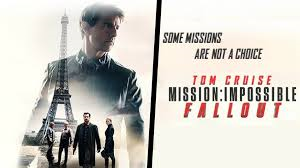 While they all do fitting and respectful homages to the Mission Impossible TV show none encapsulates quite so completely the traditional and iconic opening sequence format of the original Mission Impossible TV show as does this Mission Impossible movie Fallout. The retro style sets the tone for the entire movie. Not to say that it in anyway is a throwback, but squarely, firmly and proudly stands on the TV show grandfather’s shoulders. On that note – BE AWARE – in keeping with the TV show format, the intro-credits throw in "spoiler-y" clips from the entire movie you are about to but have not yet seen. These clips are shown very quickly and out of context. If you watch hard you might recognize some of the scenes later when they happen in the movie. However, if you watch that carefully and are thinking that much during a movie like this then … you’re working too hard and not enjoying yourself enough. But, honestly, the scenes shown are not likely to give too much away. 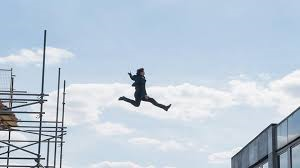 The premise of Fallout, around which I must delicately dance to avoid spoiling the spider web threads of plot which are beautifully characteristic of the entire Mission Impossible concept, revolves around the search for three balls of plutonium. 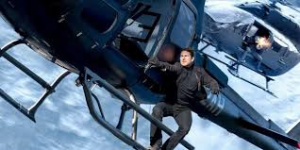 Without giving away too much, I can promise you will find all of the delightful Tom Cruise reboot Mission Impossible features that we have come to expect and love, including: spectacular stunts performed by Mr. Cruise, which I am fairly certain raise the blood pressures of the Essential Element Cast Insurance agents to dangerously high levels. And it’s not much of a spoiler, given the amount of P.R. it has received, to mention that Cruise snapped his ankle during one gig. And, I did not know this until doing the research for this blog but, Cruise did his own flying during the helicopter scenes. He not only has a license to fly the birds but has a masters which allows him to fly the very dangerous stunts as well —- which he did. I’m glad I’m not his mom. 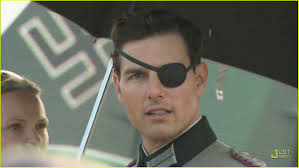 The cast includes, of course, Tom Cruise who plays Ethan Hunt, the leader of the IMF team, our heroes. 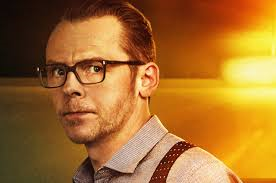 Alec Baldwin reprises his role as their Superior, Simon Pegg appears again as Benji, the techie who wants field work. Benji has a line I can't help but laugh at based on my own interpretation of the meaning. In the trailer, Benji and Ilsa watch as Ethan is getting set to do yet another crazy death defying stunt. Ilsa asks: "What is he doing?" To which Benji quips: "I find it best not to watch." I couldn't help wonder if that line was really an ad lib by actor Simon Pegg as he watched his fellow actor Cruise prepare to do — yet another crazy death defying stunt —- for real. 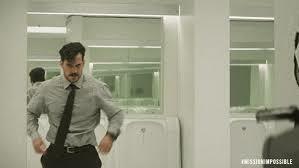 Henry Cavill (Superman) makes his debut in the franchise as August, the blunt instrument representative of the CIA. 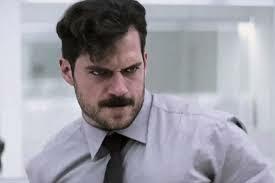 Cavill and Cruise created fight scenes I haven't enjoyed so much since I watched Dave Bautista beat the living snot out of Daniel Craig’s James Bond in Spectre. It's kind of a hoot in Fallout to see Superman and Hunt go toe-to-toe in a bathroom-wall shattering, finesse-less, jackhammer fisticuffs confrontation with an extremely capable martial arts opponent. 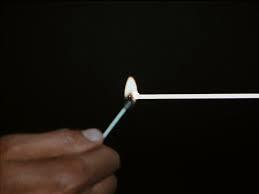 That is, if someone likes that kind of thing … which I confess I really do. 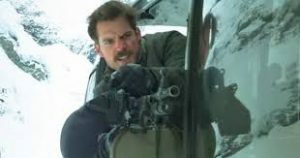 The scene is featured in the trailer and it's even more fun to watch on the big screen as Cavill outshines even Tom Cruise who, in his turn, graciously allowed the scene to demonstrate that after 22 years of this, he is slowing down just a little bitty tad bit. 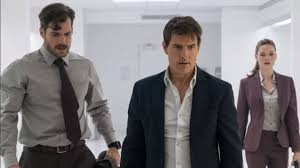 No big surprise as Henry Cavill is half a foot taller, 30 pounds heavier, and 21 years younger than Tom Cruise. 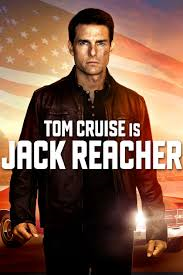 Despite Cruise’s apparent eternal youthfulness, boundless energy and teenage-style recklessness, he is old enough to easily be his co-star's father. 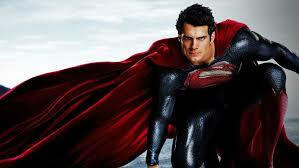 And yet, though Cavill is bigger and faster, Cruise still believably keeps up with him in every scene. 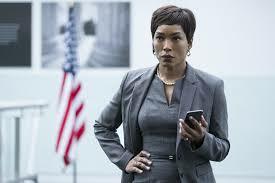 Angela Bassett (Black Panther) plays Erica Sloan, head of the CIA and August’s boss. 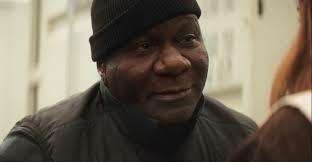 Ving Rhames is back as Luther, Hunt’s Jiminy Cricket. 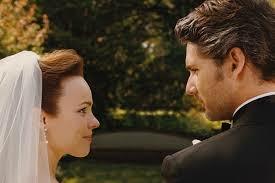 Rebecca Ferguson reappear as Ilsa. In a surprise but delightful cameo is Vanessa Kirby as White Witch, a character of gray area motives. Kirby most recently appeared as Elizabeth II's younger and scandal loving sister, Princess Margaret, in The Crown. 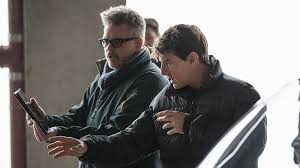 And Christopher McQuarrie does double duty in Fallout as the screenplay writer and the director, a dual position he also held for MI: Rogue Nation AND Jack Reacher. 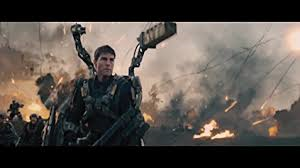 In addition, McQuarrie wrote Edge of Tomorrow/Life, Die, Repeat, Valkyrie and The Usual Suspects. To say McQuarrie already has an astonishing resume, not to mention a long standing, obviously successful professional relationship with Cruise, would be redundant. 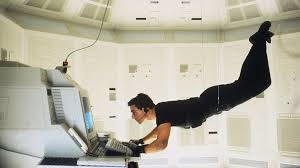 No evaluation of any Mission Impossible movie would be complete without mention of the classic theme written by Lalo Schifrin from the original TV show (which I hope you are listening to as you read this): bum, bum, BUM BUM, bum, bum, bum bum. Doodle ooooo doodle oooo doodle ooooo – do do………is planted and threaded whimsically and delightfully throughout the entire musical score. The special effects and action sequences are as amazing as you might like to ever see, the dialogue quick, snappy and classic. The acting solid, and shows the actors comfortable in their character’s shoes. 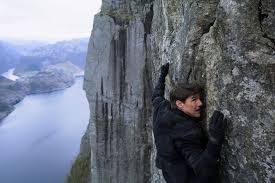 And the plot is as contrived, complex and convoluted as you can possibly want in a Mission Impossible movie. The only issue I really have is in an annoying subplot. ONE REAL SPOILER ALERT. FEEL FREE TO JUMP TO "END OF SPOILER" FOR THE REST OF THE REVIEW. 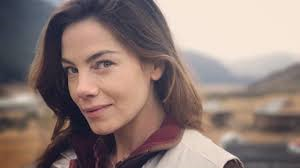 So, if you made it this far – my big problem with the movie is with the appearance of Ethan Hunt's wife, Julia (Michelle Monaghan). 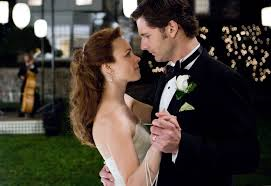 To the best of my knowledge they were never divorced, she just faked her death, as Lois Lane might have done to avoid the clutches of the superheroes evil villainous nemeses. So when Julia introduced her new "husband" to Ethan, two simultaneous thoughts occurred: Julia is committing adultery and bigamy, and Julia is putting this poor schmuck at the same risk she was avoiding by faking her own death…….!?! 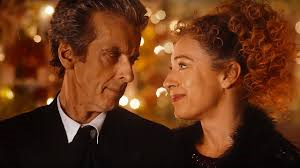 My husband pointed out that it would have been so much more fun, noble, in keeping with their initially selfless characters, and just plain old more romantic, for Julia and Ethan to continue the charade of her being dead, but clandestinely having intermittent rendezvous. 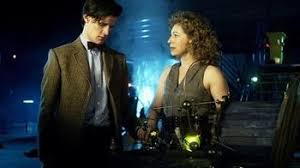 Like other star crossed lovers: River Song and the various guises her husband, Dr Who, takes on, married and meeting over the centuries as they move through time in opposite directions from each other, but find each other when they can. Or Bobby and Lance Hunter in Agents of Shield who have a turbulent marriage but stick with it, meeting to get "reacquainted" from time to time. 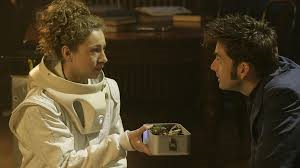 Or The Time Traveler's Wife, wherein the couple are separated often and for long periods of time because of his affliction of being "unstuck" in time? Or, how about your average married and deployed military man or police officer? They take great risks and endure long separations all the time but still managed to stay faithful for decades. Instead, Ethan and Julia get to shallowly have their cake and eat it too. She gets to play dead but have a second functioning regular playmate she can call a husband and he gets to continue thinking of her as his and yet still pursue, tease and nurture a new relationship with Ilsa. I almost half expected there to be a planned menage a quatra. Thankfully, not. 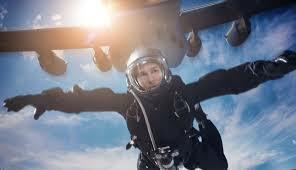 So, using the usual parental discretion, go see Mission Impossible: Fallout, bring your mid and older teens. Then, if you are like me, a fan of the original show, go home and introduce all your kids to the granddaddy TV show. BUM, BUM, BUM, BUM – TA DAHHHHHHH!